I mentioned this just a month ago in New Novel Coming: The Linen God by Jim O’Shea. Now I have an email from Jim. The book, I am told, is available at Amazon and Barnes and Noble. As a fellow Shroud advocate, you’ll be happy to know the long-awaited release of "The Linen God" is finally here! – "a wonderfully engaging, page-turning thriller. " 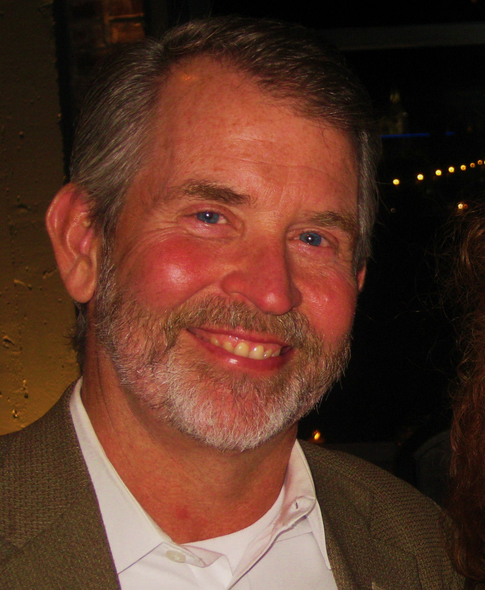 – Award-winning author Doug Peterson. I’m convinced the success of a mainstream novel can create exposure for the Shroud much the same way "The DaVinci Code" drew so much attention to DaVinci’s Last Supper. However, unlike Dan Brown’s secular works, "The Linen God" is a triumph of our Christian faith over the ultimate evil. 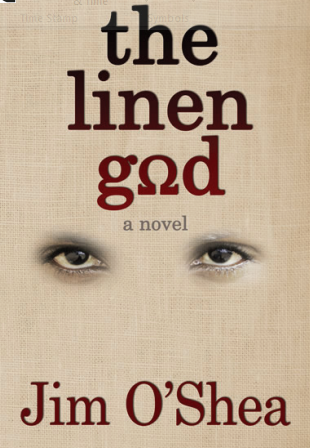 I hope you get a chance to read "The Linen God"…….and perhaps tell your friends! PS. If I haven’t asked for too much already, my Facebook and website URL’s are below. I’d love if you stopped by there too! Note: I could not find the Nook format over at Barnes & Noble. I purchased the Kindle version. A bit of interweaving in the Arizona sample? Hugh Farey recently posted something of an eyeball challenge on the JREF Forum (James Randi Educational Foundation). This is on a BBS hierarchy styled discussion page organized thus: JREF Forum » General Topics » Religion and Philosophy » Merged: Miracle of the Shroud / Blood on the shroud. 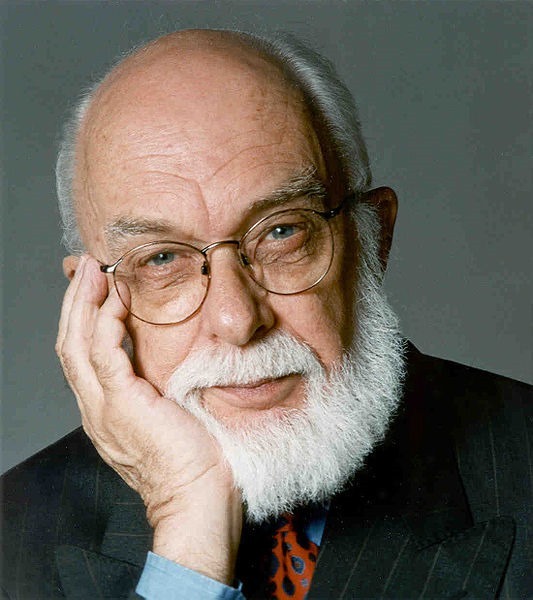 James Randi (pictured), according to Wikipedia . . .
(born Randall James Hamilton Zwinge; August 7, 1928) is a Canadian-American stage magician and scientific skeptic best known for his challenges to paranormal claims and pseudoscience. Randi is the founder of the James Randi Educational Foundation (JREF). Randi began his career as a magician named The Amazing Randi, but after retiring at age 60, he was able to devote most of his time to investigating paranormal,occult, and supernatural claims, which he collectively calls "woo-woo". To help move the discussion on, I believe I have found a bit of interweaving on the Arizona Shroud sample. There are, I believe, three photographs of the same bit of cloth, which can all be identified by a tiny twist of some blue material in the top right hand corner. Photo 1: in the Jull/Freer-Waters paper, hugely magnified. This only shows a few threads, and I am only using it as a link. The wiggly blue thing is very obvious. Photo 2: in https://shroudstory.com/2011/01/05/wa…roud-of-turin/. This is a rather poor newspaper photo (I don’t know where from) showing a much bigger area of cloth. Nevertheless, the wiggly blue thing is still clearly visible. 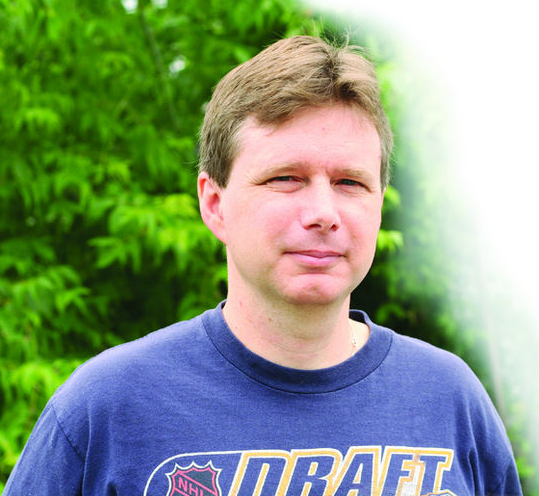 Photo 3: at http://shroud.com/pdfs/arizona.pdf, Figure 2, top picture. This shows the same area, now much trimmed at the bottom, presumably for Freer-Waters’s fibre examinations but the wiggly blue thing is still there in the top right hand corner. Calling the thread with the blue thing 1, and counting to the left, thread number 19 has a smaller, darker thread alongside it over a small part of its upper length. I do not claim that this is part of an invisible mend, or, indeed that was a deliberate insertion at all. It may be entirely fortuitous, or the beginning of another thread as one was coming to its end, or any of a number of possible things, but I believe it is the sort of thing one might search for if one wanted evidence of some kind of irregularity in the weave of the Shroud. Would anybody on shroudstory like to comment? I delayed approving the following comment from Colin Berry while I thought about it. He did submit it as a comment to be seen. He knows what he is doing. See it you shall. It says a lot. I know that a few people participate in the back and forth insults and that Colin is often the target. But invariably, he starts it. Then when the verbal brawls turn against him, he complains. That is how I see it. This pattern began when he first came on the scene over a year ago, when instead of substantively criticizing the work of other scientists like Al Adler, Ray Rogers and Paolo Di Lazzaro, as he might have done, he resorted to calling their work “Mickey Mouse science.” He referred to the scientists at ENEA as “idiots” and a “bunch of jokers.” He accused almost everyone of practicing pseudoscience which he never would define. Even then we lost many readers and potential contributors to meaningful discussions. Urgent message to site “moderator”, i.e. Dan Porter. This attempt by MPH and others to pillory me on your site must cease, and cease immediately. Yes, I know you have blocked some of MPH’s comments, but that is not good enough, given the background of systematic harassment that I have been receiving from MPH and several others too. For the record, it is I who operated at professorial level in the late 1980s, as the link below (just one of several I could cite) will demonstrate, when I was employed as a departmental head at an industrial research association, outwith a University, but could still find myself being invited – professor-like – to act as public examiner for a Swedish doctoral thesis, i.e. at the prestigious Lund University. Yet you have allowed MPH to belittle my academic credentials on an almost daily basis, while an academic nonentity, with no visible track record on the internet, bar some attendances at Shroudie congresses, claims to have been a University professor some 35 years ago when that clearly was not the case. There is no evidence that he ever operated at that level. You have also allowed a Florida-based medic of Ukrainian origin, Soviet-era, to question my mental health (clear abuse of pseudo-psychiatry against a perceived dissident) and you have allowed daveb to attack my personal integrity, claiming without a shred of evidence that I engage in pseudoscience. Too cap it all, you yourself have now attempted in this posting to make a vaguely worded personal attack, and blocked at least one of my replies, possibly two, denying me the right of reply, allowing further comments to appear that attempt to blacken my credentials as a scientist and as a sane and responsible commentator. As I say, this has to stop, and it has to stop now. I shall not make idle threats now, but rest assured there will be a corrective action taken if you continue to allow your site to be used systematically in this fashion for character assassination and/or to undermine and damage my professional credentials. I don’t like threats. My impulse is to fight back. But this blog is about the Shroud of Turin. It is a hobby for me in my retirement years. It is a lot of work and I enjoy it. I enjoy the different points of view. I want to keep it going and not have people chased away by demeaning fights. Intent (not threat) will now be acted upon. The opposition is not just from agenda-pushing authenticists. It is from the site that gives them a platform on the internet from which they can engage in character assassination. Watch my sciencebuzz site. It will now become an anti-shroudstory.com site. I’ve finally sussed out your raison d’etre. Every aspect of your MO will now be scrutinized in detail. You have become my latest research project. 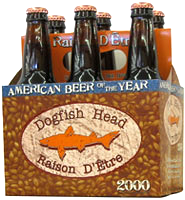 Raison d’etre is a pretty good craft ale made by Dogfish Head on this side of the pond. July and August are coming. Typically, shroud discussions get slow in these hot months (except for DaveB, down under). 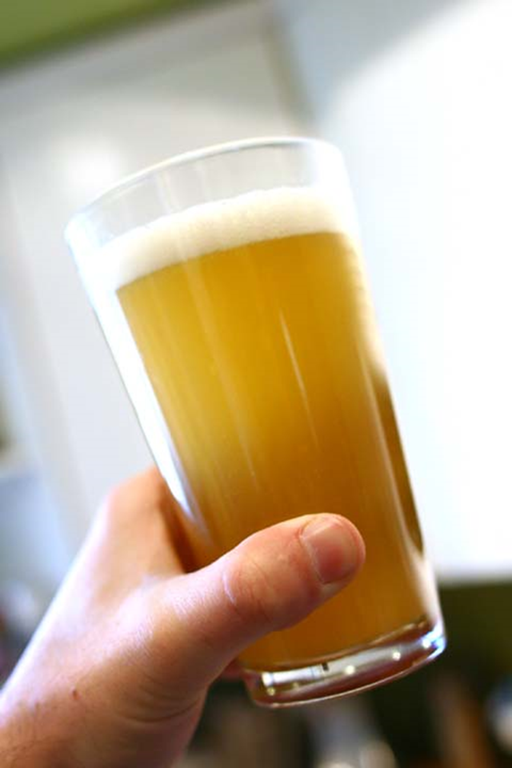 A good craft ale might help me think of new ideas for the blog, to keep things going without the excitement generated by personal insults. So the new rule is understood? And the raison d’etre? Right? We have a choice. This blog or the other blog. Or both. Colin, really, we need your worldview, your skepticism, your creative mind and your friendship. I am working on a manuscript, the working title of which begins: The Coming of the Quantum Christ. One of the problems that I have, (and I think others may have) is the vast amount of literature on the Shroud and the concern that one does not want to be constantly rediscovering the wheel. On the otherhand, there have been a couple of times when I have come across things that I would have thought were well known or available and it turned out the they weren’t. One example is that I thought it worthwhile to dig out a copy of Fr. Rinaldi’s original Sign article on the Shroud and found it tucked away in a Sign archive in Pennsylvania. Barrie then posted it on Shroud.com because it was a interesting historical artifact. I am not the only person to have noted the significance of the 1990 BSTS newsletter item discussed an article Precision’s South as the nature of what they found. 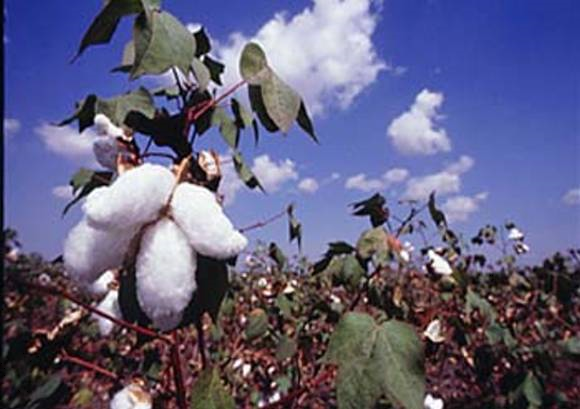 My query is this: Between 1990 when the BSTS published an article quoting South and 1999, when Benford and Marino published reported their findings (and reoprted them in 2000 at Orvieto, Italy) had anybody else published on the presence of cotton and the Shroud and its implications for carbon dating ? PS: If Oxford assumes as a matter of course an editorial “we” I apologize for my “[sic]”. Also, as the uncrowned “king” of typos, who am I to “sic” Oxford? “Oxford thank”do not sound right. I posted a new video called "The Face". I have long pondered why the face on the Shroud is its most profound feature and has become an iconic symbol of the Christian faith since it was first photographed over 100 years ago. What is the significance of the face and is there a message to be conveyed? This short video explores those two questions. The scripture is filled with references regarding God’s face. What does it mean when God turns his face away or hides his face? What does it mean when he turns his face towards us? Or when his face shines upon us? Is there a deeper meaning as to why the face image from the Shroud of Turin is the cloth’s most prominent feature? The Face: Exploring the meaning of the Shroud from Russ Breault on Vimeo. I haven’t written for a while about one of my favourite topics, the Shroud of Turin – the alleged burial cloth of Jesus Christ. Given the upswing in interest in the controversial relic this past year it’s time to take a look at it again. I’ve been following two Shroud blogs, ahem, religiously. The first is shroud.com which is run by the Shroud of Turin Education and Research Association (STERA) and host Barry Schwortz. It is an archive for all the scientific papers. Another site is Dan Porter’s shroudstory.com where there’s a daily sifting of the latest Shroud news. It’s frequented by several skeptics who are quick to attack any hint of pseudo-science. Many posters are obviously believers in the Shroud’s authenticity. This leads to passionate exchanges that often turn into schoolyard shouting matches. Fun stuff. Go ahead and read more at The mystery of the Shroud. A favourite tactic, sadly, is to launch ad hominem attacks at the opposition’s experts – like legal attorneys desperate to undermine witness testimony via character assassination. This retired science bod refuses to remain silent, and will NOT be shut up by yours or anyone else’s ill-informed put-downs..
That is his right: to refuse to remain silent. But he will not get to continue his cruel attacks on others within this blog. Positive contributions in science, history or philosophy that pertain to the subject of a posting are welcome. For the time being, however, Colin’s comments will be reviewed by me before being posted. If necessary I may edit or reject what he submits. The number of complaints I have received is sufficient reason for me to take this action with Colin’s comments. I have no issue with his skepticism or his worldview. We need that here. But we don’t need unwarranted, mean personal attacks on others. Such comments are a thing of the past in this blog.